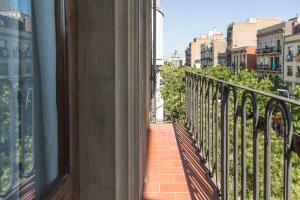 Casa Felipa Plaza España has well-equipped accommodation boasting free WiFi in Barcelona, 700 metres from Magic Fountain of Montjuic. 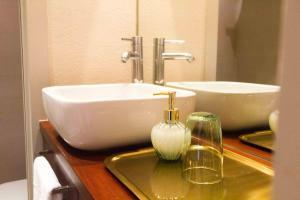 Units are fitted with a kitchen with a dining area, and a private bathroom with a free toiletries and shower. Some units include a terrace and/or a balcony with mountain views. Montjuïc is 2.2 km from the apartment, while Palau Sant Jordi is 2.9 km from the property. The nearest airport is Barcelona El Prat Airport, 12 km from Casa Felipa Plaza España. This air-conditioned apartment has a lounge with a sofa bed and a flat-screen satellite TV. 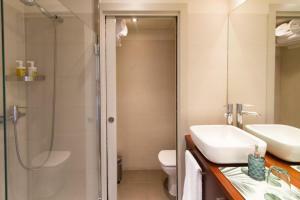 The open-plan kitchenette is completed with a dishwasher; and the bathroom includes free toiletries. Ironing facilities are provided. One of the single beds is a trundle bed. Rate: € 87.00 ... € 223.00; select dates below to get current rates. This air-conditioned apartment has a lounge with a sofa bed and a flat-screen satellite TV. The open-plan kitchenette is completed with a dishwasher; and the bathroom includes free toiletries. Ironing facilities are provided.